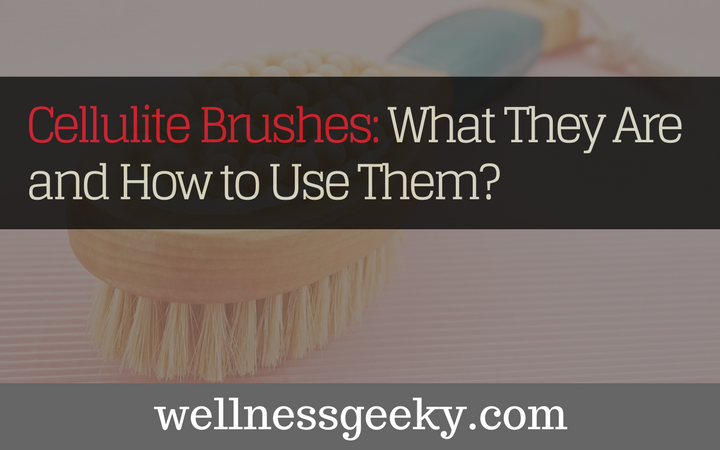 You are here: Home / Massage / Cellulite Brushes: What They Are and How to Use Them? You might have heard by now about the many anti-cellulite devices (here) and brushes on the market today. There are a number of products you can use on their own or with cream or various oils in order to reduce the appearance of cellulite. In case you're wondering how they work, how to use them correctly, and the best tips for getting results, read on. We read the reviews and researched the top brands and types, from rollers, to mitts, and compiled the vital information you need to get one that will work for you. Most of us are all too familiar with what cellulite is. Ninety percent of all women have it. It's that dimpled skin that shows up on areas of our bodies where we tend to carry extra fat. Thighs and buttocks are the most common areas where you tend to see it, but it can show up anywhere, including bellies and arms. Cellulite appears when deposits of fat move up through the connective tissue that lies just below the surface of our skin. There are many factors that can cause it, from genetics to lifestyle, and diet. 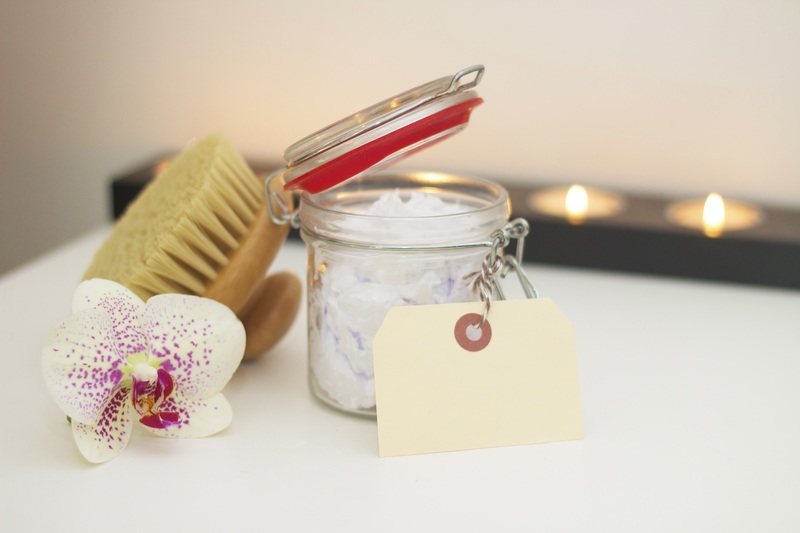 Among the various treatments, massaging the skin is always recommended when you're trying to get rid of cellulite. Hence the myriad of devices currently on the market. How do Anti-Cellulite Devices Work? Anti-cellulite device help to exfoliate the skin, compress fat cells, increase circulation and blood flow, stimulate the lymphatic system, and increase lymphatic drainage. Together these tighten and refresh the skin, leaving it with a smoother, more glowing appearance. How to use a Cellulite Brush? First of all, make sure your skin is healthy. Do not attempt to use a brush or roller on sensitive or damaged skin. It's best to use the it after a bath or shower when your skin is clean and dry. With most types of brushes, and rollers, you should apply a small amount of cream or oil to the area you want to massage, like your thigh or buttocks. This helps prevent chafing or pinching and allows it to glide effortlessly over your skin. Hold the brush in your hand, and with medium firmness, push it in a circular, rolling motion over the area. Make sure you maintain a medium level of force, and be careful not to push too hard or overdo it. You can bruise your skin if you apply too much pressure, and fair, sensitive skin is even more susceptible. Practice a little first on a small area for just a few minutes, and then monitor your skin as you go. Wait a day and see how it goes. Watch for bruising or redness. If you have no pain or sensitivity, you can increase the amount of time you use the massage brush over the next few days and weeks. Expect peeling, as your skin will exfoliate the more you massage it, causing the old skin cells to sluff off. This is perfectly normal and part of the process. Eventually this will give way to fresh, healthy looking skin, which increases the smooth appearance. One of the most popular and highly rated massagers is the TopNotch Cellulite Remover. It's a small brush with flexible fingers that fits right into the palm of your hand. It has flexible little fingers, and you can either use it in the shower or on dry skin with a lotion or cellulite cream. Massage the area with the cellulite for five to ten minutes a day. It feels great, and your skin will start to exfoliate within the first day or two that you use it. Make sure you drink plenty of water. The Scala is intended to be used in the shower with cellulite cream or oil, so you shouldn't use this one on your dry skin. If you try it in the shower and find that you don't like it, you can try it outside the shower. Just make sure you use a lot of cellulite cream or oil so that it glides over your skin smoothly. Massage the cellulite on your thighs, buttocks, or other area, in a circular motion for about 5 minutes or so every day, and you will start to see results if you stick with it. The Scala not only works wonders on the appearance of cellulite, it also helps alleviate tension, so in addition to smoother, glowing skin, you'll feel refreshed and invigorated with every massage. You should use a medium to medium-hard level of pressure to avoid bruising. The Lifestyle Plus kit is a great option because it comes with three massagers. You get a brush mitt and not just one cellulite rollers, but two. Because they're different sizes and shapes, this is a versatile combination set that you can use on almost any area of your body. You can use the brush in the shower and the two rollers when you get out, with lotion or anti-cellulite cream, on arms, legs, belly, or harder to reach areas. Reviewers tend to agree on this product that they start to see results within just a few days of using it. If you're looking for a manual option that is great for all the regular areas in addition to providing nice tension and stress relief, you should check out the Lure. It's light and portable. A few rolling motions back and forth over whatever area you're targeting stimulates the fascia, which feels great in addition to breaking up the appearance of cellulite. It also feels heavenly against your shoulders and back, or on the soles of your feet after a long day. It's affordable and portable, so great for taking with you on vacation, to the gym, or work. 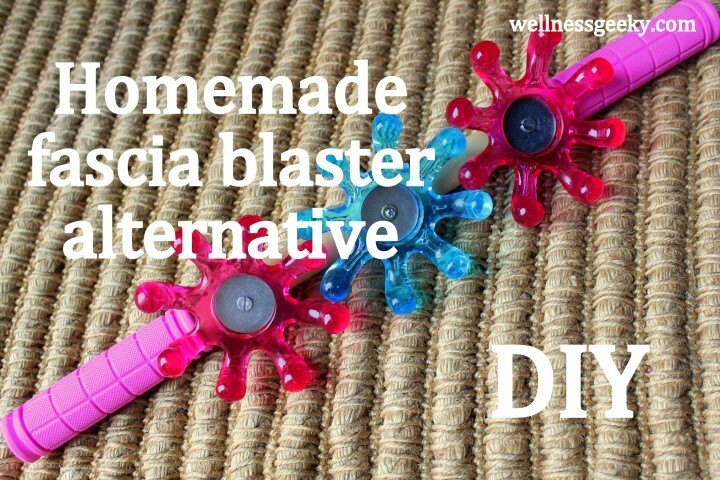 Whether you prefer brushes, rollers, or mitts, there are a lot of effective anti-cellulite massagers out there. Dry brushing has become the new catch phrase in the beauty industry, and many of the top insiders and celebrities are touting the benefits. In just a few minutes every day, you can massage away dead skin, compress fat cells, and invigorate and help drain your lymph system, which will reduce the appearance of that dreaded dimply skin that results from cellulite. Glowing, tighter, more smooth skin on your legs, arms, belly, and buttocks can be had with just a little time investment. Research has shown that massage aids in the reduction of cellulite, and now it's easier than ever to treat yourself to in-home massage for the same results as you can get from a pro.